"O God, Beyond All Praising" "By Gustav Holst (1874-1934). Arranged by Richard Proulx. For SATB choir and organ accompaniment. Concertato Series. 20th Century and Sacred. Easy. Vocal score. Vocal score notation, lyrics and organ accompaniment. 8 pages. Published by GIA Publications"
The Evening Watch "By Gustav Holst, poem by Henry Vaughan. Edited by Imogen Holst. Choir Secular. SATB choir. Choral Octavo; Masterworks. Faber Edition. 20th Century; Masterwork; Romantic. Published by Faber Music"
In The Bleak Midwinter "(For Chorus of Mixed Voices with Piano or Organ). By Gustav Holst (1874-1934). Arranged by Albin C Whitworth. SATB chorus. For SATB, Piano, Organ, Alto Solo. Choral. Piano reduction/vocal score. Standard notation. 7 pages. 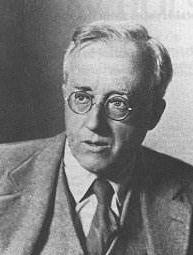 Published by Carl Fischer"
Nunc Dimittis "By Gustav Holst (1874-1934). Arranged by Desmond Ratcliffe. For SATB Choir (SATB). Music Sales America. Sacred, 20th Century, Choral. 16 pages. Novello & Co Ltd. #NOV290459R. Published by Novello & Co Ltd."
Second Suite in F "By Gustav Holst (1874-1934). Arranged by Dave Sabourin. Brass Quintet. For 2 trumpets, horn in F, trombone, tuba. British Military Band. Advanced. Full score & set of parts. Published by Cherry Classics"
Christmas Day "By Gustav Holst (1874-1934). For SATB Choir, Organ (SATB). Music Sales America. Christmas, 20th Century, Choral. 16 pages. Novello & Co Ltd. #NOV290129R. Published by Novello & Co Ltd."
"Fugal Concerto Op. 40, No. 2" "(Flute, Oboe and Piano). By Gustav Holst (1874-1934). For Flute, Oboe, Piano Accompaniment. Music Sales America. Classical. 18 pages. Music Sales #NOV120060. Published by Music Sales"
In the Bleak Midwinter "By Gustav Holst (1874-1934). Arranged by Brad Printz. For Handbells, Percussion, Windchimes (2-part). Choral music. Christmas, Classics, Hymntune, Sacred. Print Music Single (2-part Mixed). 12 pages. Published by Hope Publishing Company"